From the 16th-century Baltic to the American Revolution, from colonial India to the skyscrapers of modern Shanghai, Shakespeare's plays appear at the most fascinating of times and in the most unexpected of places. No other writer's work has been performed, translated, adapted, and altered in such a remarkable variety of cultures and languages. But what is it about William Shakespeare—a man from Warwickshire who never once set foot outside England—that has made him at home in so many places around the globe? 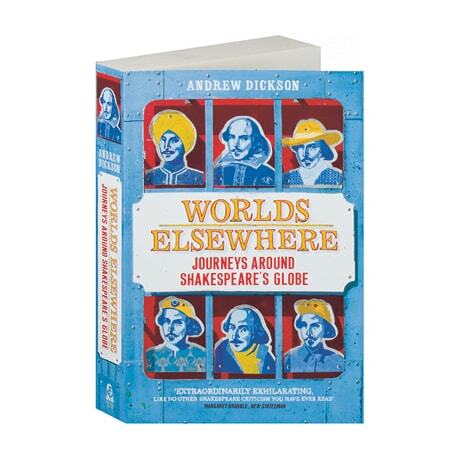 BBC presenter and reviewer Andrew Dickson (a contributor to The New Cambridge Companion to Shakespeare, as well as a former arts editor for London's Guardian) takes us across four continents and 400 years on a personal journey rich with insight and surprise. We enter the air-conditioned vault deep beneath Capitol Hill where the world's largest collection of First Folios is stored; discover the shadowy history of Joseph Goebbels's obsession with Shakespeare; and uncover the true story behind the scuffed edition of the Bard's words in which Nelson Mandela and fellow Robben Island prisoners inscribed their names. "An extraordinarily exhilarating book. It is like no other Shakespeare criticism you have ever read," wrote Margaret Drabble in New Statesman. "[Dickson's] cross-cultural insights into Shakespeare are remarkable ... illustrated by and interwoven with many human stories."